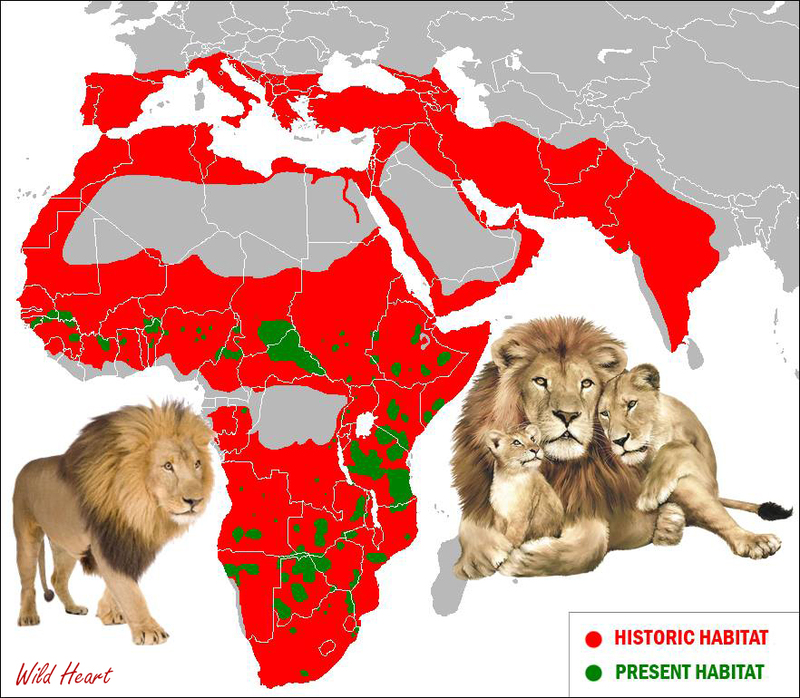 In 1975 there were an estimated 250,000 Lions on the continent of Africa. In 2014 the numbers of these gracefully majestic African lions, have plummeted down to an estimated 25,000 on the whole African continent, A loss of 225,000 in only 39 years. The estimated 2,500 Lions that are left in the wild in South Africa does not include more than 8,000 Lions in captivity, being bred for the bullet or the arrow to satisfy the disgusting canned Lion hunting industry. Also the destruction of their natural habitat is fast pushing them towards extinction. Where once upon a time, they roamed freely across the globe, today they are confined to few regions on the planet, mainly in parts of Africa. 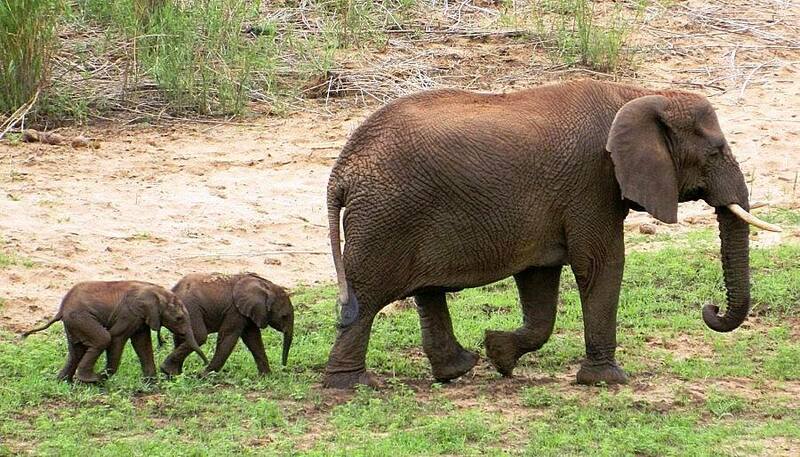 RARE TWIN ELEPHANTS BORN IN SOUTH AFRICA. WELCOMING THE RARE TWIN ELEPHANTS BORN IN SOUTH AFRICA. The yet unnamed twins were born to a 31-year-old elephant called Curve, so named forthe curve of one of her tusks. Read more: RARE TWIN ELEPHANTS BORN IN SOUTH AFRICA. "The Big 5" Is "Big Money"
"THE BIG 5″ is “BIG MONEY" and WORTH FAR MORE ALIVE. South Africa’s Big Five is much better for the country than previously thought. A leopard that lives for 15 years contributes more than R85 million to the state coffers. That’s the finding of a study conducted by the research institute Tourism Research, Economics, Environment and Society (Trees) of the North-West University’s Potchefstroom campus which was commissioned by SANParks. Prof. Melville Saayman of Trees and the lead researcher said yesterday that eco-tourism and especially the Big Five were invaluable for South Africa. Hunters know exactly what a wild animal is worth, but the value of the same animal in a national park had not yet been determined. The organization “Trees” in a recently published study found that tourists are willing to pay more than R3 500 to view the Big Five in the Kruger National Park. The research team found a small family of three people spent about R10 000 for a four-day visit to the Kruger National Park. The researchers questioned about 600 visitors to the park. The visitors were asked to indicate how much of their holiday money they would spend to see the Big Five. 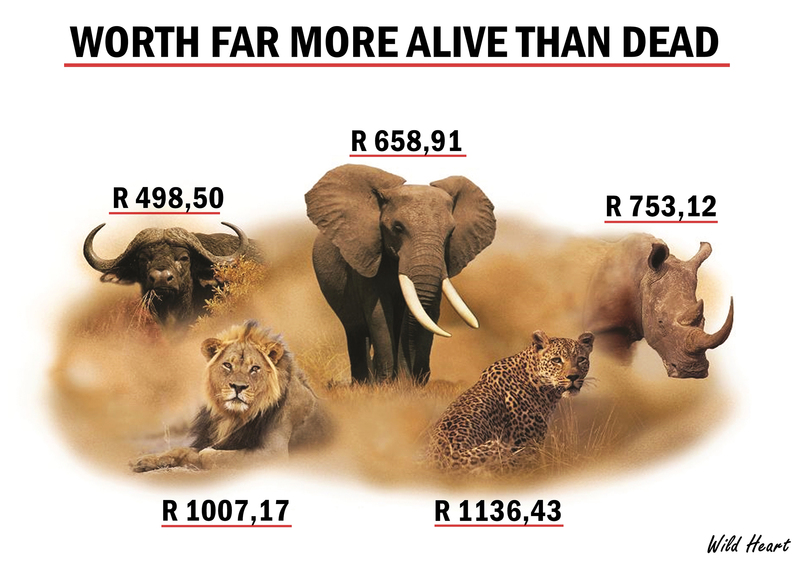 According to the results they are willing to pay on average R1 136.43 to see a leopard, R1 007.17 for a lion, R753, 12 a rhinoceros, R658, 91 for an elephant and R498, 50 for buffalo. Saayman pointed out the average lifespan of a leopard is estimated at 15 years and if 5 000 people saw the animal annually, this is an R85 232 250 contribution to the economy. “The Kruger National Park attracts over a million visitors per year and this income supports between 300 000 and 600 000 people who live in the park’s surrounding areas,” Saayman said. The team conducted research at Punda Maria in the north of the Park and the Olifants Letaba and Mopani Rest Camp. Saayman said it is clear from the research that eco-tourism is a major job creator and that it makes a tremendous contribution to the public purse. The findings can be very positive consequences for wildlife conservation organizations and private reserves. From a marketing standpoint, the addition of the Big Five to more parks and private game reserves is a highly attractive bait for visitors Saayman said.